This work was commissioned by Nonsemble 6 in 2011. Originally premiered at Monmouth College as part of their Contemporary Music Week. The theme for the year was Shakespeare’s Tempest. This work is inspired by Propero’s dramatic discarding of his book of magic. 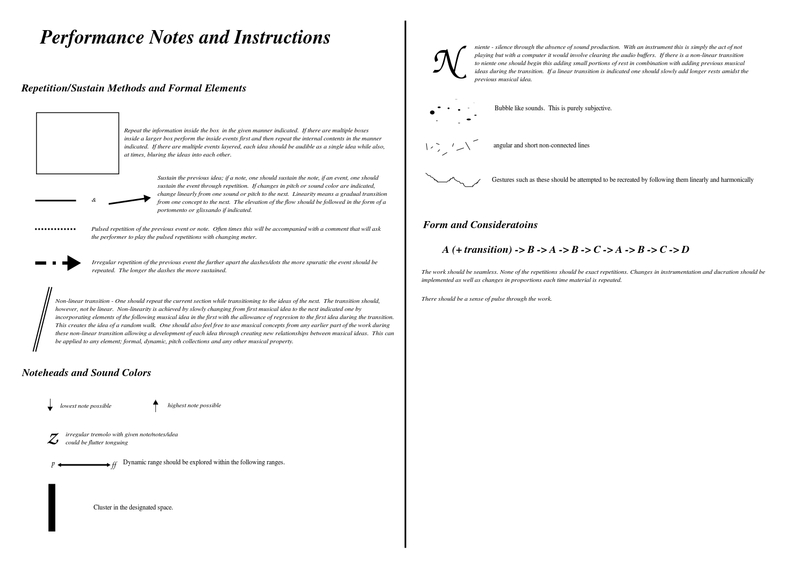 The work uses what has become my standard notation system for composition. It includes a group of symbols that instruct performers how to approach the work. 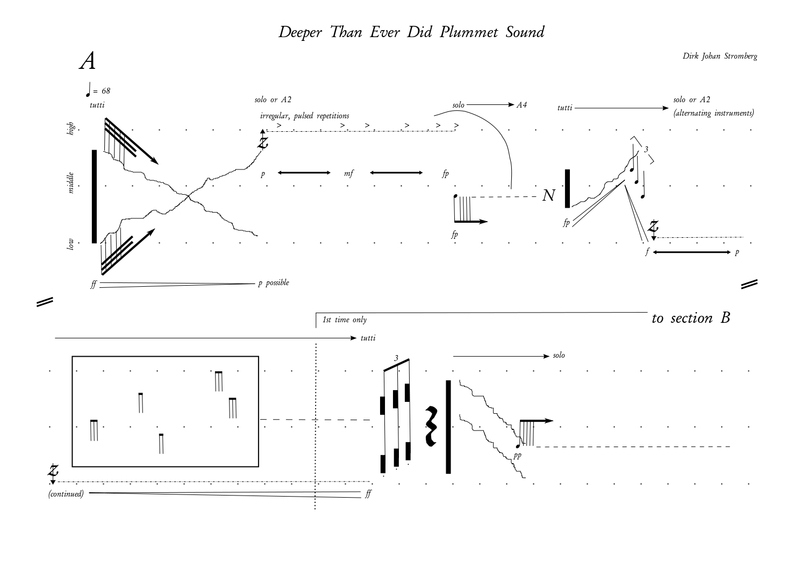 The notation was first developed for the Isthmus of Sound series completed in 2007. The notation allows a great deal of improvisation and interpretation. 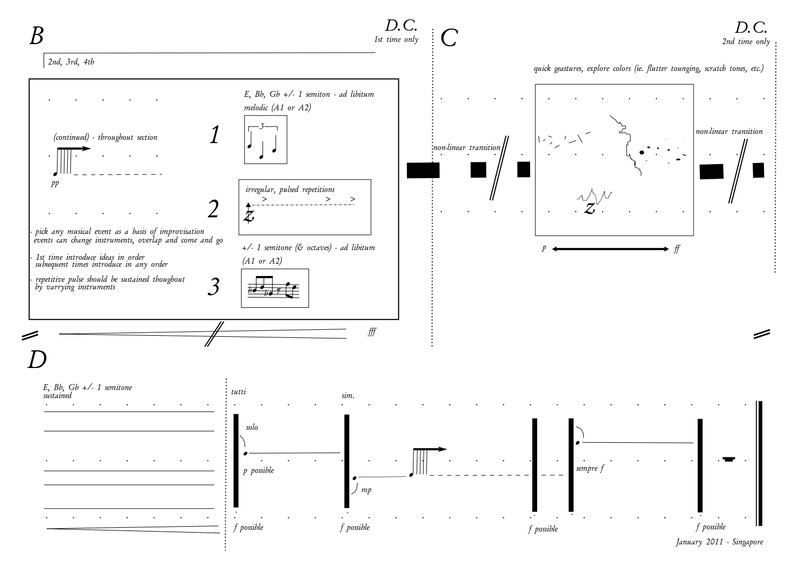 Allowing for the performance to be the archive of the music, rather than the notation. Each performance is usually different given the acoustics and the situation. Interestingly enough, the works with multiple performances have always ended up similar. Conceptually this notation reflects how I think of music (this is true of all notation). For me music is a series of gestures and textures that are developed through improvisation in a developing structure. For some pitch is paramount, hence staves lend themselves better to such work. If one were to look at notations of works in a similar style, for example my work , Failing Thoughts of Memories, the notation is so complex that, though it allows for freedom, it inhibits the performers from exploring in the manner the composer desires. Furthermore, this notation allows for music to played at many levels of technical proficiency. This can be seen by early versions of some of the Isthmus of Sound works being performed by myself on recorder and violin. This music free s itself form technical confines and becomes works that allow for performers to challenge their musicality within their own ability. This style of notation has liberated the performer to be allowed to express themselves within the confines, with no delusions of composer interference. The responsibility is on the performer to realize the work in the best possible of ways within their technical limit.